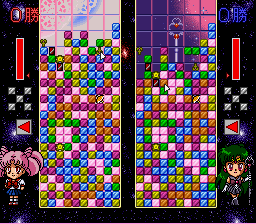 The title is sometimes written as Bishoujo Senshi Sailor Moon S: Kondo ha Puzzle de Oshiokiyo!. 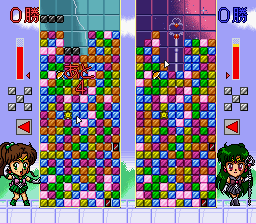 The Eleca Debuggers, or Ereka Debuggers also worked on Hanafuda Ou. 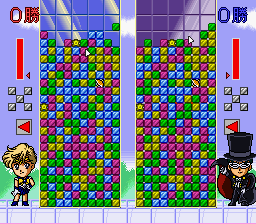 This game also shares a developer, Mitsuo Akaike, with Dynamic Stadium (KungFuFurby, CRV). 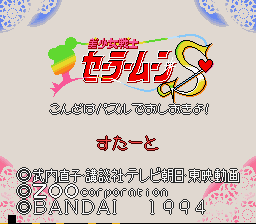 The distorted tile on the bottom left of the title screen changes each time you loop through the attract mode, but never seems to end up on the correct tile.